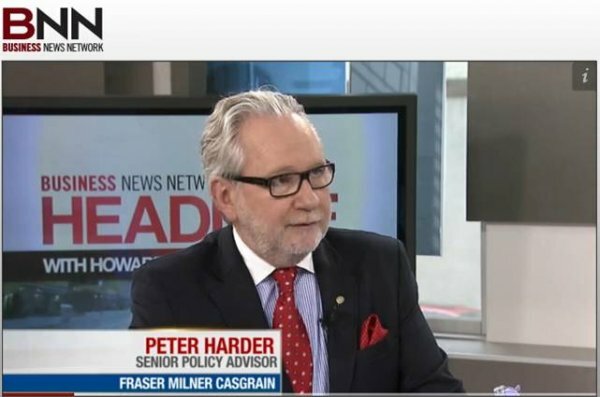 Peter is Senior Policy Advisor to Dentons Canada LLP. 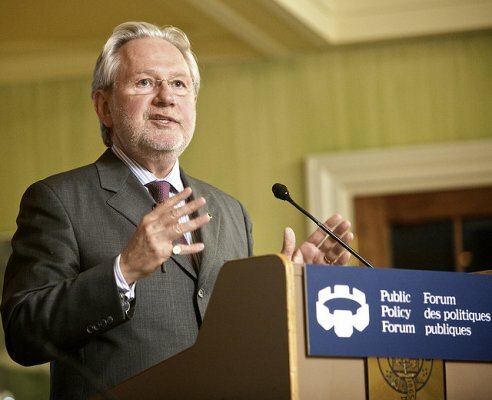 Peter possesses a wealth of expertise in public policy as a result of his involvement at the centre of government decision-making for over thirty years. 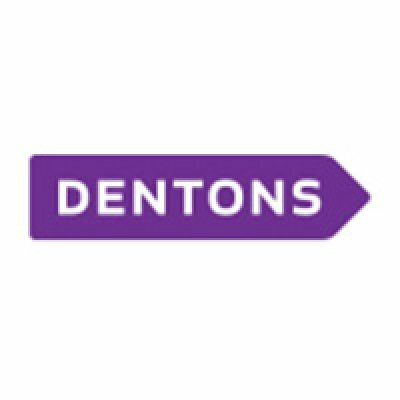 Prior to joining Dentons, Peter was a long serving Deputy Minister in the Government of Canada. First appointed a Deputy Minister in 1991, he served as the most senior public servant in a number of federal departments including Treasury Board, Solicitor General, Citizenship and Immigration, Industry and Foreign Affairs and International Trade. 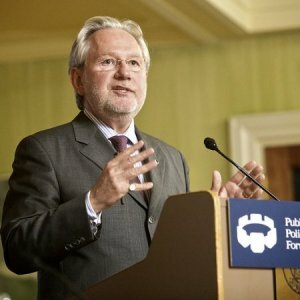 At Foreign Affairs, Peter assumed the responsibilities of the Personal Representative of the Prime Minister to three G8 Summits (Sea Island, Gleneagles and St. Petersburg). Peter has joined the Boards of Power Financial Corporation, IGM Financial Corporation, Magna International Inc., Northland Power, Telesat Canada, TimberWest and Energizer Resources. 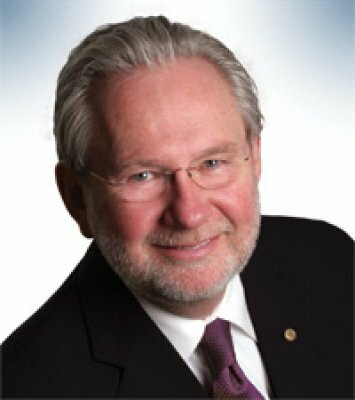 Peter is also a member of The United Church Foundation, The Commonwealth Games Foundation of Canada, Genome Canada, and chairs The National Police Services Advisory Council (RCMP). 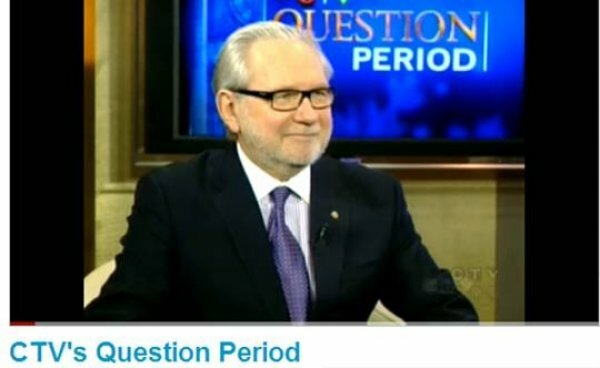 Since 2008, he also serves as an independent advisor to the Auditor General of Canada. Mr. Harder also serves as the Chair of the National Arts Centre's Governance, Nominating, and Ethics Committee. 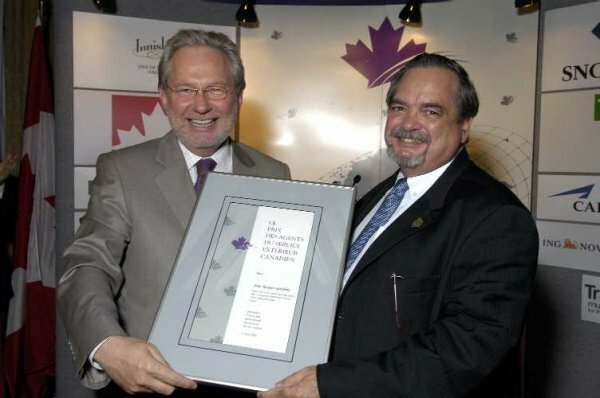 In 2008, Peter was elected the President of the Canada China Business Council (CCBC). In March 2012, Mr. Harder was named under the Business Representatives category as one of the Top 80 Influencing Canada's Foreign Policy by Embassy Magazine. Through frank conversations with government insiders and policy analysts, Embassy created a list of 80 powerbrokers of Canadian foreign policy. In 2000, Mr. Harder was presented with the Prime Minister’s Outstanding Achievement Award, which is distinct from other programs as it is the Prime Minister's award and it accords the highest expression of recognition for executives in the Public Service of Canada. Established in 1966, the Outstanding Achievement Award recognizes the sustained and exceptional performance of duties and accomplishments by senior public servants. In 2002, Mr. Harder was awarded the Queen Elizabeth II Jubilee Medal for public service. The Medal was awarded to Canadians who have made outstanding and exemplary contributions to their communities or to Canada as a whole. In 2007, the President of Colombia named Mr. Harder grand master of the Order of San Carlos for his contribution to international relations. Power Financial Corporation is a diversified management and holding company that has interests, directly or indirectly, in companies in the financial services sector in Canada, the United States and Europe. The Corporation also has substantial holdings in a diversified group based in Europe. IGM Financial Inc. is one of Canada's premier personal financial services companies, and one of the country's largest managers and distributors of mutual funds and other managed asset products, with $117 billion in total assets under management. Its activities are carried out principally through Investors Group, Mackenzie Financial Corporation and Investment Planning Counsel. Magna International is the the most diversified automotive supplier in the world. We design, develop and manufacture automotive systems, assemblies, modules and components, and engineer and assemble complete vehicles, primarily for sale to original equipment manufacturers (OEMs) of cars and light trucks. We have 296 manufacturing operations and 88 product development, engineering and sales centres in 26 countries on five continents as of Q2 2012. Northland Power develops, builds, owns and operates clean and green power generation projects, mainly in the provinces of Ontario, Quebec and Saskatchewan. At Northland, sustainability is a core value. We see sustainability as the ability to meet the needs of the present without compromising the potential of the future. Northland has fully developed in-house engineering expertise and is positioned to evaluate and pursue new power generation technologies as they become commercially feasible. Energizer Resources is a mineral exploration company based in Toronto, Canada whose prime focus is the exploration and development of its Green Giant Vanadium Property in Madagascar. TimberWest is Western Canada’s largest private timber and land management company. TimberWest seeks out the best and highest use of its lands, identifying strategies for both sustainable forest management and real estate. The Company’s land management priorities include unlocking opportunities for conservation and preservation of special lands, using landholdings in ways that help communities achieve their goals, and ensuring that only high quality, conservation-minded developments occur. The National Police Services (NPS) Advisory Council provides strategic advice to the Commissioner of the RCMP through the Deputy Commissioner, Specialized Policing Services. The Council is made up of distinguished experts from fields such as law, science and government. Their mandate is to consider and advise on the overall direction and priorities for the NPS and its components. The National Arts Centre (NAC) raised its curtains for the first time in 1969. Created by the Parliament of Canada as a Centennial project during the 1960s, the NAC has become Canada's foremost showcase for the performing arts. Today, the NAC works with countless artists, both emerging and established, from across Canada and around the world, and collaborates with scores of other arts organizations across the country. The Canada China Business Council (CCBC) is the country’s Canada-China bilateral trade and investment facilitator, catalyst and advocate. Founded in 1978 as a private, not-for-profit business association, CCBC provides unparalleled insight into Sino-Canadian trade and investment issues and develops connections that ensure its members’ business success. In addition, the Council is also the voice of the Canadian business community on issues affecting Sino-Canadian trade and investment. Genome Canada – a not-for-profit organization established in February 2000 – was given a mandate by the Government of Canada to develop and implement a national strategy for supporting large-scale genomics and proteomics research projects, for the benefit of all Canadians. Genome Canada adopted a bold, yet systematic approach which focuses its activities exclusively in the areas of genomics and proteomics research with an emphasis on the delivery of tangible and measurable results. The Canadian Defence & Foreign Affairs Institute is a charitable, independent, non-partisan, research institute with an emphasis on Canadian foreign policy, Defence policy, and International aid. We provide Canadians with factual and comprehensive policy analysis to promote their understanding of Canada’s foreign affairs and aid policies and the state of our military preparedness by developing and sponsoring authoritative research and education programs. KEYNOTE SPEECH: What’s next for Canadian Business in China?